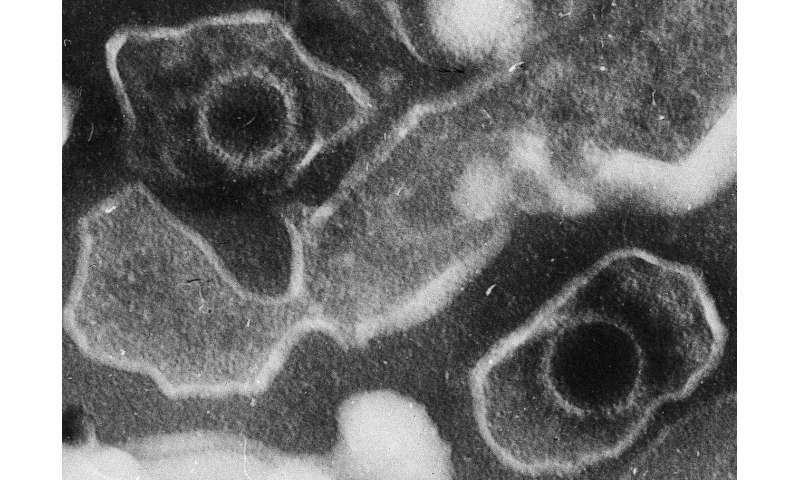 A far-reaching study conducted by scientists at Cincinnati Children's reports that the Epstein-Barr virus (EBV)—best known for causing mononucleosis—also increases the risks for some people of developing seven other major diseases. Those diseases are: systemic lupus erythematosus (SLE), multiple sclerosis (MS), rheumatoid arthritis (RA), juvenile idiopathic arthritis (JIA), inflammatory bowel disease (IBD), celiac disease, and type 1 diabetes. Combined, these seven diseases affect nearly 8 million people in the U.S.
Study results published April 12 in the journal Nature Genetics. The project was led by three scientists: John Harley, MD, PhD, Director of the Center for Autoimmune Genomics and Etiology (CAGE) at Cincinnati Children's and a faculty member of the Cincinnati VA Medical Center; Leah Kottyan, PhD, an immunobiology expert with CAGE; and Matthew Weirauch, PhD, a computational biologist with the center. Critical contributions were provided by Xiaoting Chen, PhD, and Mario Pujato, PhD, both also in CAGE. Overall, the study sheds new light on how environmental factors, such as viral or bacterial infections, poor diet, pollution or other hazardous exposures, can interact with the human genetic blueprint and have disease-influencing consequences. "Now, using genomic methods that were not available 10 years ago, it appears that components made by the virus interact with human DNA in the places where the genetic risk of disease is increased," Harley says. "And not just for lupus, but all these other diseases, too." EBV is a strikingly common virus. In the US and other developed nations, more than 90 percent of the population becomes infected by age 20. In less-developed nations, 90 percent of people become infected by age 2. Once infected, the virus remains in people for their entire lives. Mononucleosis, which causes weeks of extreme fatigue, is the most common illness caused by EBV. Mono was nicknamed the "kissing disease" years ago because the virus spreads primarily via contact with saliva. Today's study adds weight to those lupus findings and adds six more well-known diseases to the list. "This discovery is probably fundamental enough that it will spur many other scientists around the world to reconsider this virus in these disorders," Harley says. "As a consequence, and assuming that others can replicate our findings, that could lead to therapies, ways of prevention, and ways of anticipating disease that don't now exist. "So far, no vaccine exists that will prevent EBV infection. "I think we've come up with a really strong rationale for encouraging people to come up with more of an effort," Kottyan says. "Some EBV vaccines are under development. I think this study might well encourage them to push forward faster and with rededicated effort." 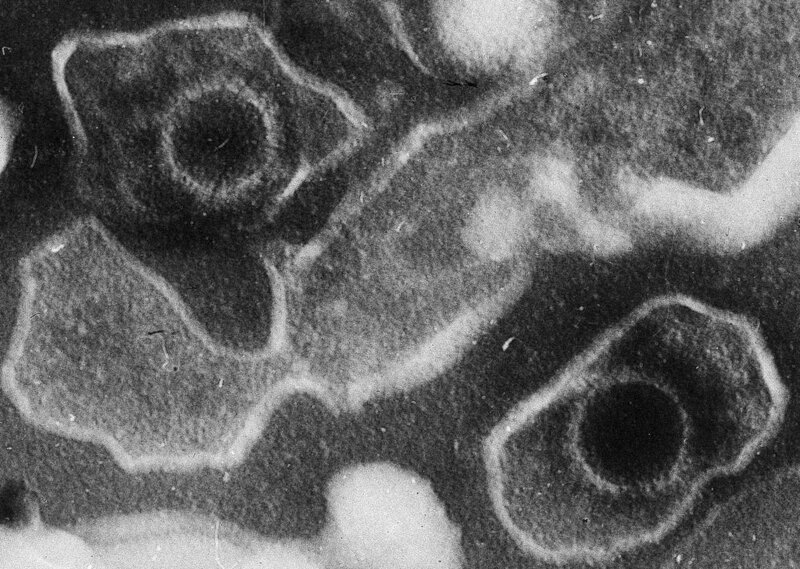 The EBV virus invades the B cells themselves, re-programs them, and takes over control of their functions. The Cincinnati Children's research team has discovered a new clue about how the virus does this, a process that involves tiny proteins called transcription factors. Our bodies have about 1,600 known transcription factors at work within our genome. Each cell uses a subset of these to become what they are and to respond to their environment. These proteins constantly move along the strands of our DNA, turning specific genes on and off to make sure cells function as expected. However, when the transcription factors change what they do, the normal functions of the cell can also change, and that can lead to disease. The Cincinnati Children's team suspects that the EBNA2 transcription factor from EBV is helping change how infected B cells operate, and how the body responds to those infected cells. The new paper shows that seven seemingly unrelated disease states actually share a common set of abnormal transcription factors, each affected by the EBNA2 protein from the Epstein-Barr virus. When these EBNA2-related clusters of transcription factors attach themselves to one portion of the genetic code, the risk of lupus appears to rise. When those same transcription factors land on another part of the code, the risk of multiple sclerosis appears to rise. And so on. "Normally, we think of the transcription factors that regulate human gene expression as being human," Kottyan says. "But in this case, when this virus infects cells, the virus makes its own transcription factors, and those sit on the human genome at lupus risk variants (and at the variants for other diseases) and that's what we suspect is increasing risk for the disease." It remains unclear how many cases of the seven diseases listed in the study can be traced to prior EBV infection. More genomic analyses involving many more patients with these diseases will be required to make reliable estimates. "The impact of the virus is likely to vary across the diseases," Harley says. "In lupus and MS, for example, the virus could account for a large percentage of those cases. We do not have a sense of the proportion in which the virus could be important in the other EBNA2-associated diseases." "This same cast of characters is a villain in multiple immune-related diseases," Weirauch says. "They're playing that role through different ways, and doing it at different places in your genome, but it's the same sinister characters. So if we could develop therapies to stop them from doing this, then it would help multiple diseases." A number of compounds—some experimental, some approved as medications for other conditions—already are known to be capable of blocking some of the high-risk transcription factors listed in the paper, Weirauch says. Teams at Cincinnati Children's have begun deeper studies of some of these compounds. While the EBV-related findings involved more than 60 human proteins linked to seven diseases, the Cincinnati Children's research team already has taken a huge next step. They applied the same analytic techniques to tease out connections between all 1,600 known transcription factors and the known gene variants associated with more than 200 diseases. The results of that massive cross-analysis also appear in today's study. Intriguing associations were documented involving 94 conditions. "Our study has uncovered potential leads for many other diseases, including breast cancer," Harley says. "We cannot possibly follow up on all of these, but we are hoping that other scientists will." After devoting decades of research to hunting down the causes of lupus, Harley says this study represents the most important discovery of his career. "I've been a co-author in almost 500 papers. This one is more important than all of the rest put together. It is a capstone to a career in medical research," he says.